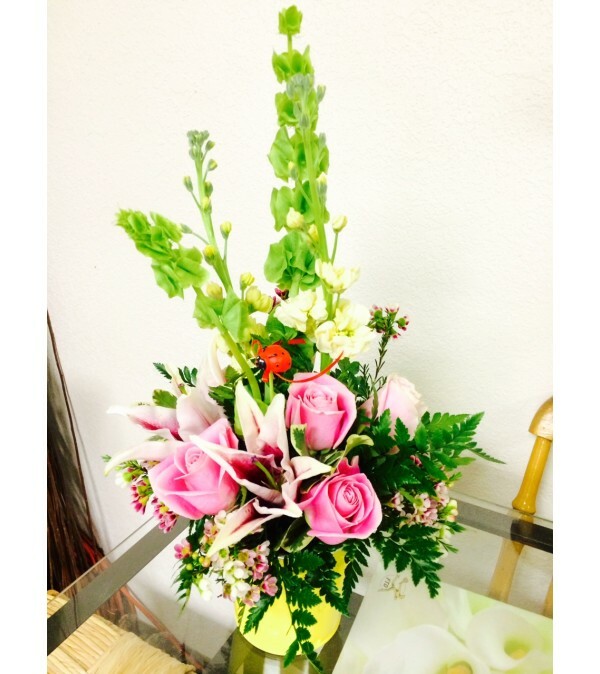 Pink lilies, pink roses, stock, bells of Ireland, waxflower and green filler in a yellow container. Accented with a cheerful bug pick of florist choice. Perfect to brighten any day!